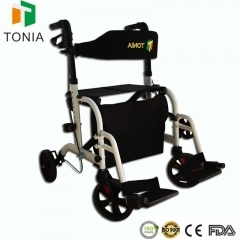 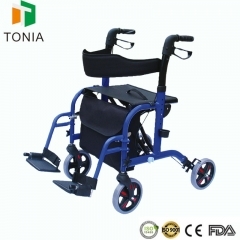 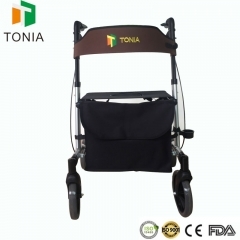 TONIA TRA08A is a foldable aluminum wheelchair for elderly or disabled or sick travelers. 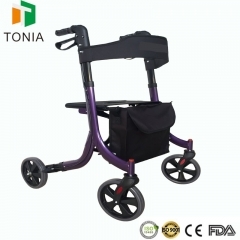 The foldable frame allows easy folding, space saving, and storage. 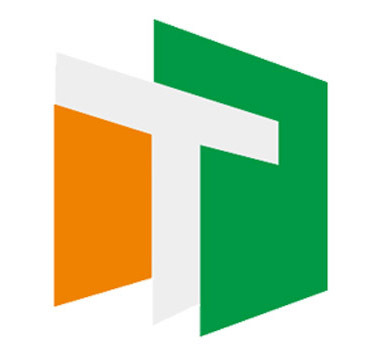 The height adjustable function allows users to adjust to a comfortable height according to their own height. 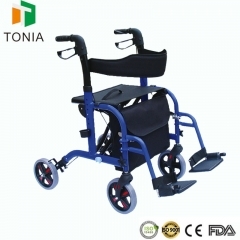 Sensitive and easy-to-operate braking system. Moving back, comfortable to sit down. 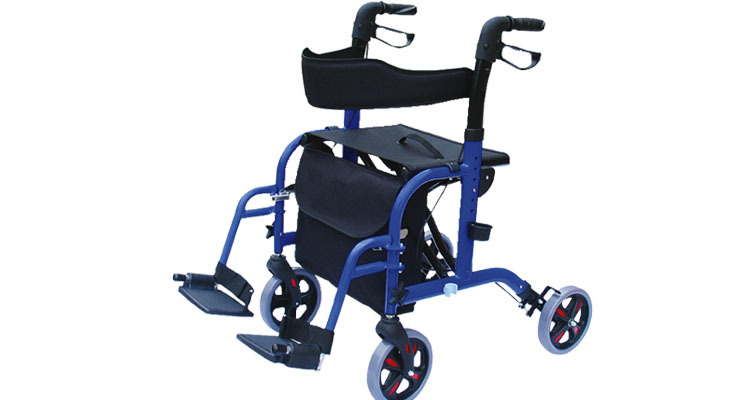 With a seat, you can stop and rest anytime, anywhere. 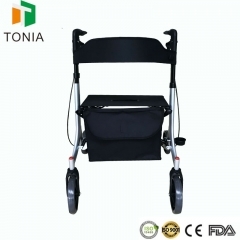 The weight is 136kg, safe and reliable.